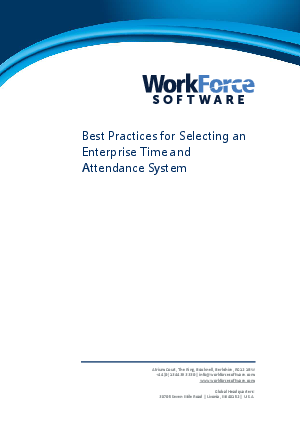 This paper provides a guide to large employers confronted by the time and attendance evaluations dilemma. The following sections help you identify and describe the product capabilities – and corresponding process improvements – that separate a basic timekeeping system from an enterprise-grade time and attendance solution. In addition, the paper will equip you with questions to ask potential providers to uncover whether they have the resources, expertise, and products capable of optimising your time and attendance processes.